At Disaster Doctors, We Treat Our Plumbers Right! Let Disaster Doctors Spend Our Ad Budget On You! Disaster Doctors gets a large percentage of our jobs via referrals, and we believe that it’s a much better way to spend our advertising budget. Taking amazing care of our plumbers, and other professionals, feels a lot better than spending that money on Google, or in the Yellow Pages. We do the work for you, and, most importantly, we’ll keep your customers happy! We handle both residential and commercial water damage cleanup and repair, so no matter what job you notice water damage at, our techs can get you dry. Just give Disaster Doctors a call at the first sign of water damage, and we’ll take care of the entire process for you, as well as getting you paid. Pretty much every water damage restoration company in Salt Lake City will offer a plumber a referral fee for water damage. That fee can vary from a few dollars, or a gift card, to a percentage of the job. Disaster Doctors doesn’t only provide our plumbers with a very nice fee, we also go the extra mile for our plumbers. For example, we ensure our plumbers are getting the work when it’s time to do repairs. Our 5-Star service ensures that your customers will be very satisfied with your referral, which will increase their trust with you. We also provide on site water damage training, which will help you better understand how to identify and sell water damage services. This is just a small sampling of the efforts that Disaster Doctors puts in to make sure our Salt Lake City area plumbers are not only well represented, but handsomely compensated. 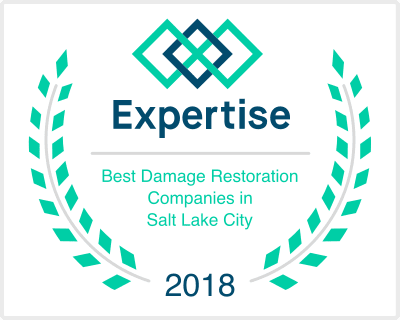 We take pride in being the preferred water damage restoration company for SLC plumbers, and we look forward to working with you, making you money, and keeping your customers happy! When you choose Disaster Doctors for your customers next water damage cleanup, you can trust that you’ve put experts on the job. Our technicians are IICRC certified, clean, and professional. We use only the best equipment in the industry, for a speedy and efficient job. Our entire team is made up of expert communicators, so you will be in the know on every aspect of the water damage restoration process. Our licensed, certified technicians are available 24 hours a day, 7 days a week, so no matter when you show up at a customers house and notice water damage, we can be there in a flash, ready to begin the water extraction process. If you’re a plumber, give us a call today and we can discuss our amazing referral program.